Today is my birthday, so what better present could I give to myself and to you too than some film news that is really awesome! Introducing to you my very own brand of film, JCH StreetPan 400! I have been reporting on film news for a while now, and it often seems like the news is rather depressing. Discontinuations and so on make for some gloomy reading. And it got me thinking how great it would be if we could have some good news for a change. Whilst I have been running this site I have come into contact with some amazing people, some of whom are deeply involved in the film manufacture business. So I decided that if anyone can make something happen it would be me. About a year ago I started to make inquiries about what I could do and the options available. That was when I decided I wanted to start off with a 400 monochrome film as it the sort of film that I shoot the most and I was terribly upset when Neopan was axed. I wanted something bold, slightly grainy and with a strong contrast. Now, I couldn’t have a completely new emulsion made, so I decided to go with an old discontinued surveillance film that was original made by AGFA, and have it put back into production. And thus JCH StreetPan was born! So this is a re-born film, not a re-spooled film that is still being sold. This is also not an ‘old stock’ film or a ‘pancake’ that was kicking around a ‘dusty warehouse’. This is a freshly produced emulsion with an expiry date of 2020. The film was no longer being produced and I had it put back into production. And for the record, this is not re-spooled Rollei Retro 400s. · The very fine graininess and the high speed make this film an ideal for use in traffic infringement cameras in a wide range of weather conditions. Or if you are not a speed camera, street photography, in a wide range of weather conditions. · The low fog level at high temperature processing makes the film suitable for high volume processing applications. · Due to its sensitivity to red light, JCH StreetPan 400 is the optimum film for dawn, dusk and winter photography. 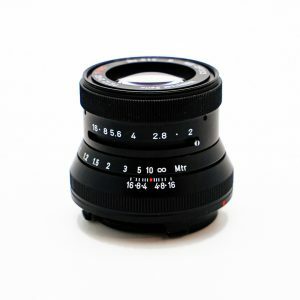 · Its speed and sensitometric characteristics make the film extremely suitable for low light and low sun angle photography (long shadow areas) and for wide latitude photographic exposure. · The spectral sensitivity is extended in the near infrared range of the energy spectrum, colour sensitivity: panchromatic up to 750 nm. As a result, the film offers excellent penetration through haze, fog and other atmospheric conditions liable to affect the image quality. Due to the reduced scattering by the atmosphere, images are sharp and well edged. · The near IR sensitivity and the strong response to red light allow for nocturne red flash photography as well as daylight photography. · Although featuring high speed, the graininess of the emulsion is low thanks to the 2-layer emulsion architecture. The low granularity makes the film very scanner-friendly and the scans deliver noise-free images in the image highlights. · The low fog level at standard processing temperature and at high temperature processing makes the film even more suitable for development in large and small processing machines. 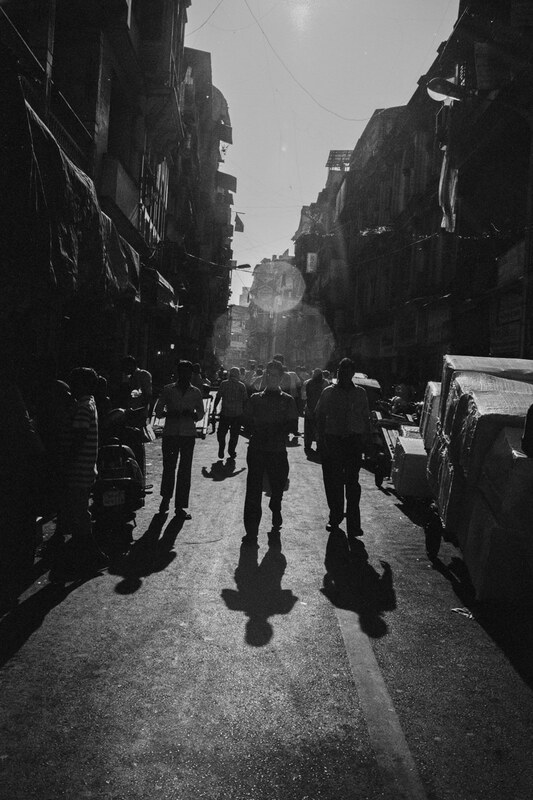 · The image contrast can be controlled by the processing parameters.JCH StreetPan 400 can be processed as a low contrast film for good and average weather photography and as a medium contrast film for bad weather photography. · Although high speed and near-IR sensitised, this film shows excellent storage stability before use and low latent image drift after exposure. 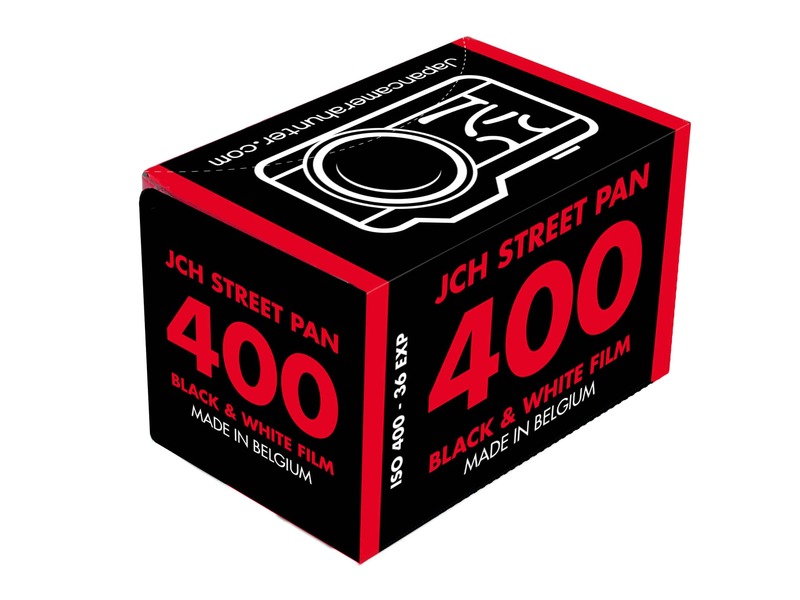 ·JCH StreetPan 400 has a gelatine back coating to prevent scratches on the back of the film which could be picked-up by image scanners. · Base substrate layers provide permanent anti-static properties to the film, at exposure and after processing. Now to the real details. This film is not quite ready yet, but it has already cost me a simply stunning amount of money. And as I absolutely hate sites like kickstarter I have decided that the best thing I can do is offer this on pre-order so that you get your film when it comes out. This also helps me to pay for the film, because it is such a large amount of money. The film will be ready for shipping around May/June of 2016, so you don’t actually have all that long to wait. As I am anticipating a very large volume of orders (actually I am really hoping for) so initially the film can only be purchased in 10 roll ‘bricks’. This helps keep things from getting messed up. 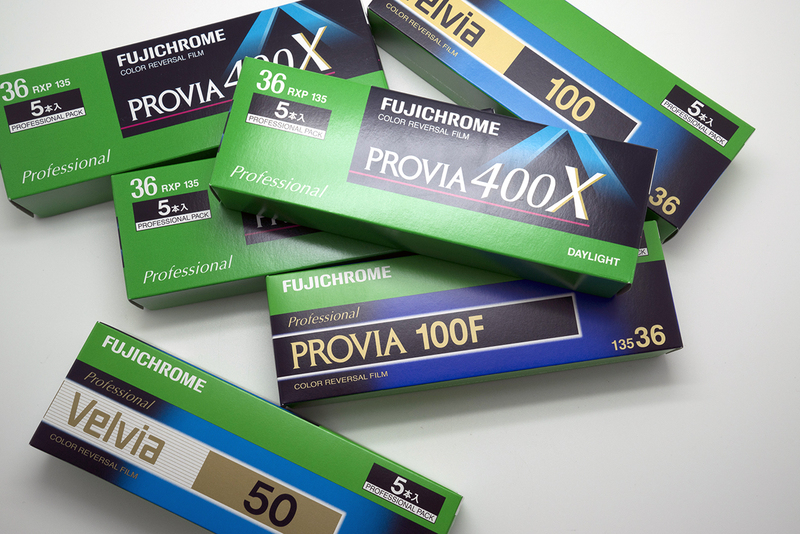 If you buy more than 20 rolls you shall receive a free film case (your choice of colour). Each roll works out to be 975 yen. So a total of 9750 yen for a 10 roll pack. I hope to make it so that you can do smaller orders after the film is actually released and on the market. 975 Yen is about $8.75, £6, 7.70 Euro, $68 HKD, $11.45 AUD or $2,824 Zimbabwean Dollars. So, 1 piece on the order comprises of 10 rolls, 2 pieces is 20 rolls and so on. Shipping is calculated automatically. As these are pre-orders I am really counting on your support to see this become something much bigger, if the sales are strong enough I will be able to make further batches in larger amounts and the price of the film will come down. I want to say a huge thank you to Peter Barwick for the awesome packaging design www.peterbarwick.com And Vishal from CameraFilmPhoto for believing in me and convincing me to go through with this. And for taking the images in this post with the Beta rolls. Thanks for all your support and lets keep shooting film! Ps. Thanks for the comments and the massive amount of support. I am aware of the spelling mistake on the box. This is a 3d mockup, so the actual packaging will be correct. Also, I have mentioned but I will say again, the film is expensive, but if enough of you order it I will be able to make larger amounts and bring the price down. Thanks. PPs. It seems that some people have got a real bee in their bonnet about me doing this. I am not try to ‘rip people off’ or hoodwink people in some way. I re-released this film because I was passionate about doing so. I am less passionate about it now that I have received very personal attacks on my character and my business. I just wanted there to be another film option on the market, a film that I like to use. And I had hoped that people would be supportive of this, instead of trashing it and me. Bringing a film to market is incredibly expensive. I am not a multinational with an established distribution route. I am one guy working out of my office. I don’t have any backers, or any financial support. I refuse to use kickstarter et al because I don’t feel they benefit the end result, they just add another fee. Some have mentioned that I should be selling this film at a loss, but that would be damaging for this film and my business. What would be the point if I didn’t have enough money to make any more? As I have mentioned, I want this film to be cheaper and it will be if enough supporters help to pay for the initial startup costs by paying a little bit extra for this film. If this film can make it into regular production then the price will go down. That is my promise. If you don’t want to buy this film that is fine. Each to their own. But to make comments and assumptions about my character and to disparage my name and my business just because you don’t like this film is unfair and hurtful. Would love to see more photos on this film. The packaging looks really nice aswell. It does seem to me that the yen figures have been accidentally switched though. Can it be pushed? My favorite low light or fast shutter/small aperture combination is TRI-X developed in Diafine 2 bath rated 1250 ISO. Does it work with Diafine? Yes it can be pushed and pulled. I am sure it does work with diafine, though I have not tested it myself. 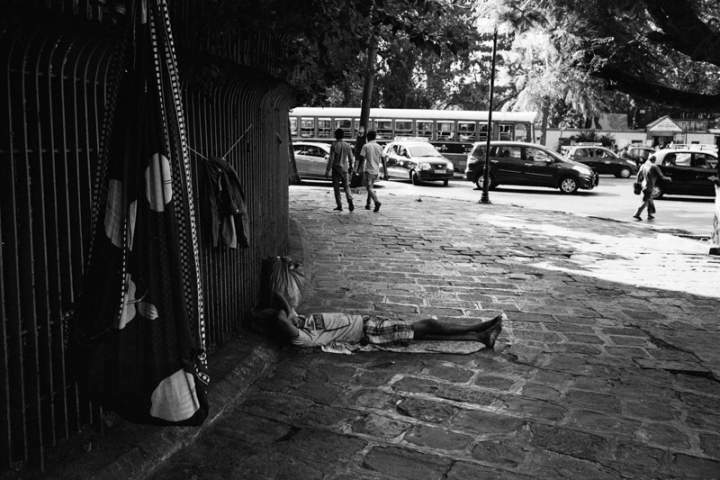 Aren’t these photos shot in Delhi, Bellamy? I think I see Chandni Chowk in one of the photos and the Vasant Vihar/Hauz Khas South Delhi area in another one. Awesome news Bellamy! The AGFA plant is LITERALLY 50m away from my home in Belgium. Any chance of being able to buy it there? Thanks Morgan. No, it won’t be available there. It is all going to Japan, so it will ship from there. Finally! It will be out. No more secrets :). Happy Birthday Bellamy. Congratulations. First of all: happy birthday ! Your own brand film sounds awesome. I’m in Tokyo from wednesday, where can i purchase it ? Happy birthday, and great news about a new film! That is superb news and Happy Birthday, ordering a set right now! Can’t wait to try it out. This looks amazing. Can I ask where to pre order? I have gone through the article and couldn’t find a link. The link is at the bottom of the page. Or you can click on the shop. First of all, Happy BDay ! Thanks a lot for this great present you have given to the film lovers / believers ! A new 400 pan black and white film ! I really looking forward to try it ! Great news on the film. Great news, is the film pushable @ 1600 ? Great news to read – would like to order but am ignorant on one question – international shipping and x-rays en route. How does the shipping of the film work Bellamy. Great site – I come to this 36x more often than 500px! 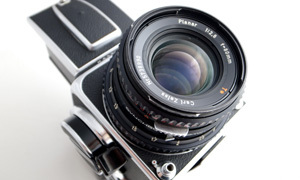 Great news for film photography and for Agfa ! But, I’m sorry and correct me if I’m wrong but I read “Belguim” instead of “Belgium” on the package presented here. Happy Birthday!!!!! !what about 120 size (6X6) format??????? Congrats, this is great news. What Agfa emulsion is it? (One thing that really annoys me over the past few years is film being re-branded but hiding its origins. Makes it very hard to share development expertise). Kudos on naming the vendor at least! Can I buy 100′ of this stuff!? Awesome Bellamy, absolutely awesome. I will be supporting you no worries and ordering soon. Its great you are taking things further with your business and in the film photography community in general. Great news today and Happy Birthday. Great news, Bellamy! Just preordered a brick. It must be my birthday as well…. Happy birthday Bellamy! I wish you all the best! It’s nice to see someone so passionate. Thanks for all you do for the film community. happy birthday to you and with new film, it is also happy birthday to me! 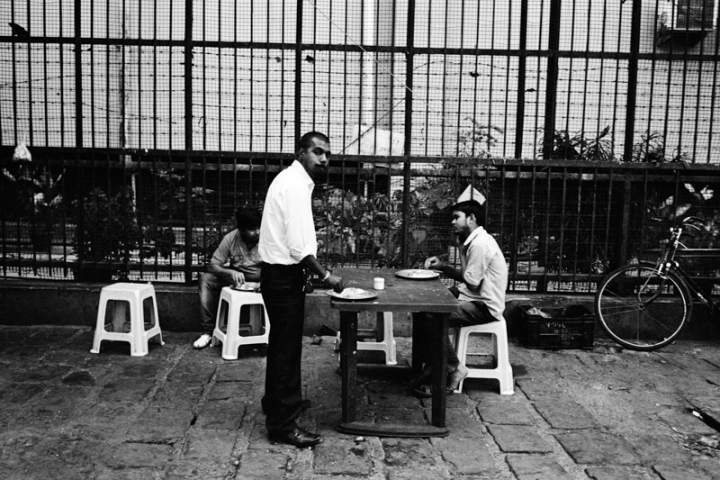 something that resembles the old neopan? i’m all for it. just bought a chunk and am excited to shoot (not test) this film. any idea of it being released in 120? i know i’d for sure love to shoot this over acros any day. thanks for all you are doing to keep film alive! it looks wonderful, will buy it for sure! Already placed my order…No matter how long it takes, the important thing is that’s there’s a new film on the market!!! Hi Bellamy and happy Birthday ! WOW. What an awesome way to celebrate your birthday! Big congrats on this project and so excited to shoot your film. Happy birthday and what a great news, Bellamy! Mate, you have a horrible spelling mistake right on the package. Made in Belguim? Where is Belguim? Other than that, good luck. I might give it a try myself. I like the look of it. Best of luck with the project! Finally some good news indeed, love the aesthetics of your JCH 400! Superb – and fair play to you – what an achievement. Agfa Aviphot Pan 400S, right? Still being made but no longer sold as an Agfa retail product. At this price point, I’ll stick with Kodak materials, thanks. No, it isn’t. This is an older discontinued film. I would love to make it cheaper, but seeing as I am not Kodak it is hard to find the money to do so. Do you have any plans for this to be available in 120 Medium Format ? None at the moment. But who knows? That is great news. Would like to order, but there seems to be no shipment estimation to Greenland. Good luck with the film. (PS: on the packaging image, it’s written “Made in Belguim”, a bit of typo). This is just terribly, terribly awesome, Bellamy. It’s your birthday, but we’re the ones getting the gifts! Thanks, mate. Haha, thanks. It is only on the mockup. The actual boxed will be spelled correctly. I must help you out, and support this great initiative! 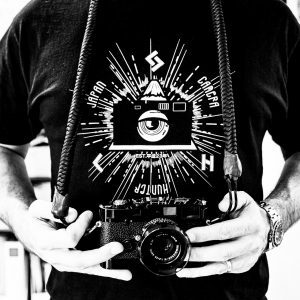 We are even starting up a hands on develope your own film course here in Haarlem Netherlands. Due to demand :-) so things are looking great for us film lovers. Will place my order this weekend. Tnx so much for everything you do with this site Bellamy! Looks good. What sort of shipping costs would be involved in getting it over to the uk? Happy Birthday Bellamy! And congratulations on this wonderful film rebirth. First of all, Happy B-day! I think your initiative is to be admired and therefore kudo’s to you. Just from a practical side though, have you considered the pricing in view of shipping costs and local import taxes in the EU? Just the taxes alone would be an around 30% hike and shipping from Japan isn’t on the cheap side either. This would take your offering far out of the broadband for European customers, even if you lower the price by 10-20-30%. I strongly recommend, if possible from a manufacturers side, to look at possibilities to ship from within Europe for EU customers. Then again, you have been looking at all possibities I’m sure and kinda know your markets. Doesn’t take anything away from my admiration for doing this and I do wish you great sales and alot of fun in your endevours! OK, seeing as so many people mentioned the spelling mistake, it has now been corrected. Thanks for pointing it out. My head has been spinning these last couple of days. Second, you’re a good sport to get reminded of a pre-production typo and roll w/the punches. Third, I’ll order, but I’ve got to save some $$; right now I’m working my way through 700+ negs from Florence Italy. Editing & printing, and using the $ to buy paper & chemicals. Thanks for putting it out there, and actually helping us film shooters. Best of luck. I have plenty of film in my freezer, but I’m buying a block and encouraging all of my film-shooting friends here in Taiwan to buy some as well to show our support. I think anyone who takes a leap of faith and launches an endeavour like this deserves it. Wow, this is fantastic news! This really opens up some nice possibilities, between you and Ferrania. 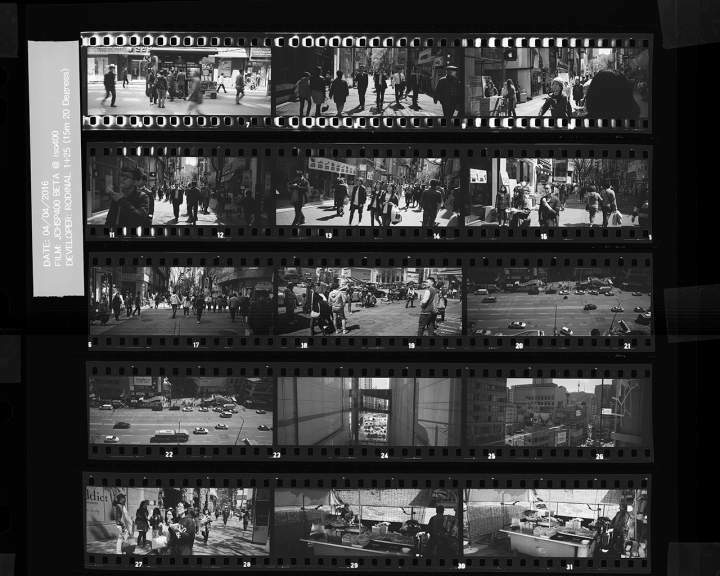 If we’re not likely to get any more technologically advanced film than what we already have, we can now travel back in time to the heyday of film. Who knows what emulsions we’ll be able to resurrect in the years to come? And as everyone has already said, happy birthday. Exactly how KAAs writes. Shipping to Europe costs ¥2,100, tax is 20-30% (calculated from item + shipping price). The tax proceeding is terribly bureaucratic process, which even costs some extra money. Aren’t you able to “tunnel” the film somehow directly to Europe? If I could I most certainly would. But at the moment this is not possible. Sorry for the inconvenience. This AGFA film, made here in Antwerp is sold rebranded by Macodirect for years (and cheaper) in their Rollei-range. No, this is not the film you seem to think it is. It is not re-badged Rollei. Please don’t make assumptions when you don’t have all the facts. Ps. Please check the image. The spelling mistake has been rectified. Totally agree with KAAs and Maaca – re-importing European product back to EU is a major showstopper here. Taxes (VAT) where I live are 21% applied both on goods and shipping. And if I order more than one pack 10% customs duties will kick in (threshold is 150EUR). A quick calculation gives me the final price of 11.3EUR per roll if I order one pack and 11.8EUR per roll in case of two packs. 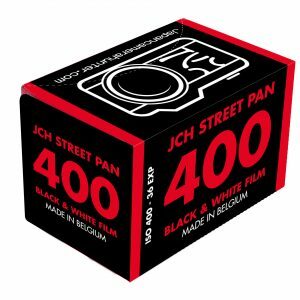 This makes StreetPan 400 the most expensive B&W film in EU. The film will not be shipped at full value, it will be shipped with a lower value. Please mail me for further details. I am aware of the difficulties when shipping to the EU and I will do all I can to smooth the process. Cool to see a new film product! Just a question; what’s the expiry date of this film? 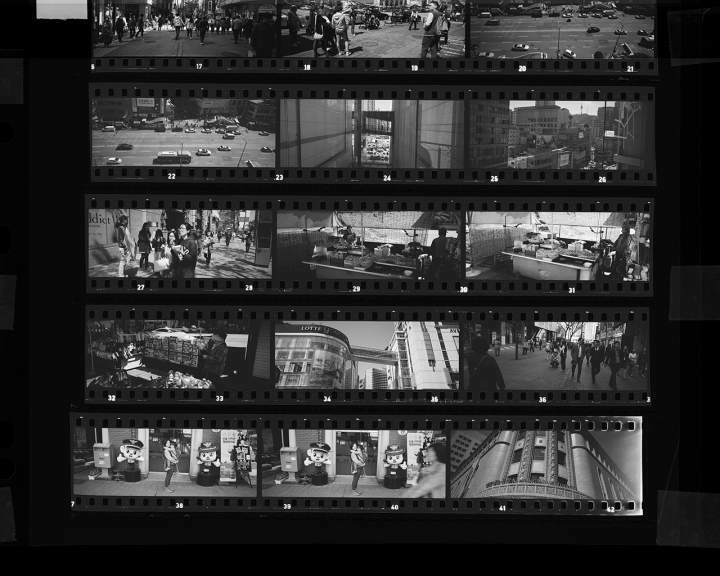 Can this new 400ISO film be purchased in motion picture amounts? Is it a reversal or negative stock? Can it be developed in the US at a modern film laboratory like Fotokhem, in Burbank, Ca.? Happy birthday, and congrats on this amazing news! You say this is a discontinued traffic surveillance film that has been “re-born”, which unfortunately leaves some room to imagination and speculation about the actual nature of this rebirth. It would be great if you could answer one simple question: Is this material freshly coated for you or is it made from older stock? I am not concerned about the 2020 best-by-date, which I do not question. I am sure the quality of the material will be just fine. So why do I care? Some people including me would like to know if their money will fund actual, current film production or rather help a manufacturer to clear his inventory of discontinued product. Thank you. Ok, seeing as it is not clear for some people and my motives have been called into question. I shall make it clearer. As far as I have been made aware this is freshly coated and newly produced material made for me to order. It is not old stock, or something that has been pulled out of deep freeze. If this first run is successful then I will have the opportunity to make further and larger runs of the film. The reason I did this was to fund continued production. I wouldn’t have done it if I had the slightest inkling that I would just be clearing old stock. Why can’t you just send it from Belgium? Then the European market would be sweet. As I have mentioned, the makers will not allow me to do this. For now at least it has to be sent from Japan. I hope that this situation will change in the future as it would be a much more economical option. Perhaps I should have worded it differently. In my excitement I may have not been thoughtful in my writing. Yes, this was a discontinued film. Which has been put back into production. It is not a completely new type of film, but an old emulsion that has been given a second chance. I am sorry if that was not clearly communicated. I hardly think that calls my credibility into question though. Well done, Bellamy. I could never pull something like this off, but it’s a fantastic idea. Will the developing notes be printed in the box, and/or are you planning on providing tech data for the film in the future? Thanks! Let’s give Bellamy a break! At least he is trying to bring more film back. Let’s all see what happens. I’m following your entries for quite a while now and I’m always pleased and in love with the content. I just wanted to stop by quickly and write you about these hate comments you’ve received. Please don’t be less passionate about some internet scumbags, that envy you for your work. As a film enthusiast, I can’t point out enough, how important people and their passion is for analogue film. With all these news about new discontinuing films, it’s so important, that people put some effort and work into the production of new film(s) products. Please go on and don’t hesitate or stop, just because some assholes have a different opinion. Belated happy birthday, Bellamy, and bravo for bringing back this film! Wishing you good luck with the project! Tedious to read the comments of the skeptics and the haters..
..though I do not understand why you don’t just say what film this actually is? Great news Bellamy! Looking forward to buying a few. Great birthday gift. To clarify, the above means “Free film case on orders of 3 or more bricks” yes? Bellamy, A film stock that’s not just lost to the march of time is a good thing. Don’t let anyone take that from you by succumbing to their negativity. But at the same try to keep in mind that their scepticism is well earned. I can’t count the number of times Lomography, Agfa Photo and other film companies breathlessly trumpeted about their “new” film, only for it to be recans of some well known stock. And at the same time, the same Agfa Gevaert stocks are rebranded by several companies at different price points. Those facts make it hard to see good news without becoming jaded. Jesus what’s with all the haters? Obviously initial runs of anything will cost more unless you’ve got major investment backing; the fact that Bellamy has been able to get a new (to most of us brand new) film back into production is a great thing. I’ll be ordering a brick come payday and making sure everyone I know will as well. 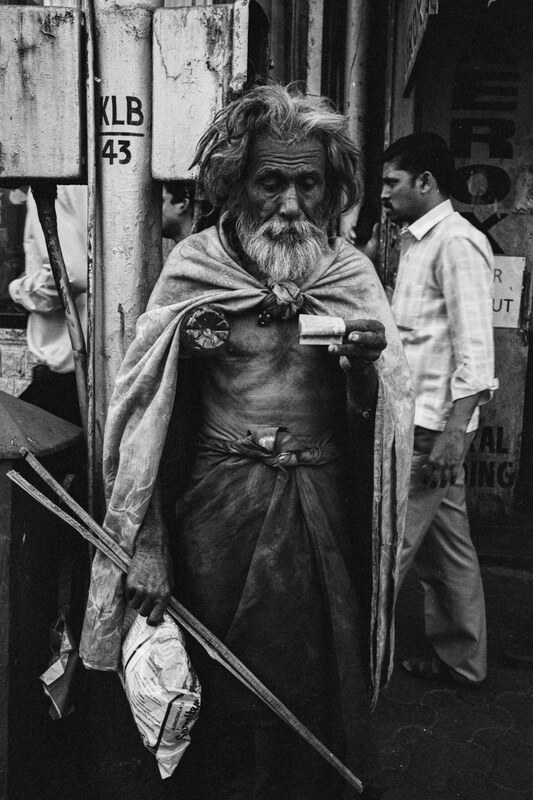 It’ll be a refreshing change to shoot something new and something that I wouldn’t necessarily shoot normally. Happy birthday mate & look forward to getting the film through soon. The comments section on most sites has given everyone and their dog a soap box to stand on and express their opinion. But the older I get, the more I realise that most opinions just aren’t worth expressing. Haters gonna hate. Fortunately, that’s their problem, not yours. (Imagine being one of them? What an awful existence). The vast majority of us think you’re doing a great thing. You’re putting your money where your mouth is and actually making something happen. Which is nothing short of awesome, and worth our support. Bravo! Great to get an interesting film stock into production again. Re the pesky comments, there must be something in the internet that brings out the ankle-biters. Do your best and ignore the rest. Love your website and when I get my bag where I want it, will send you a shot! second of all, those in question of your credibility, quick to point out spelling errors, and plain out trolls, are not worth your effort. third thing, its great that you’re making an effort to promote something that to ALL of us who shoot film (even though, for myself) i am completely new to this medium, uneducated to even ever make an attempt to negatively criticize in anyway a passionate promotion and feet you have chosen to offer to most, if not all globally. i am guessing a lot of the criticism is coming from walks of life that are different than your fans, jealous that they didn’t have the balls of transparency that you have…typo’s? are these the type of people I’ve heard of, who believe their sh&t’s don’t stink? or they don’t even fart?…they’re nothing more than a joke! and are not even worth your time to comment back to. they may have the balls to come out complaining, but you’ll never EVER see them try to even make close to an effort, of what you have brought forth to ‘our’ community worldwide. last note…i will have to re-read the article if there is an end date as of when one must participate to order, since i am completely broke!!! but do want to support YOU, as a person and business. i’ve never shot a roll of tri-x 400, since i could never afford it, and i actually like what i can; ultra fine extreme 400 in 100′ bulk rolls, since its a lot cheaper for me to afford to press the shutter. i claim to be the worst self developer, and i use the worst film scanner, the lomography smart phone one, but its all i can afford, and i am actually appreciative of the outcomes in my efforts of being self taught. i am looking forward to what i will soon have to experiment with in coming months. Wow, as i was reading i was getting more and more into an idea of pre-ordering it. Anti-static qualities, good for scanning fine grain, good contrast? Yes please! Thanx for some development times guidelines as well, i think i can figure out times for my favorite developers using these approximate times. Congrats and i will share my first development times on flickr/instagram or whatever. Thank you! Thanks Bellamy for reviving a discontinued emulsion! I just ordered a brick and can’t wait to shoot with it! Great initiative! 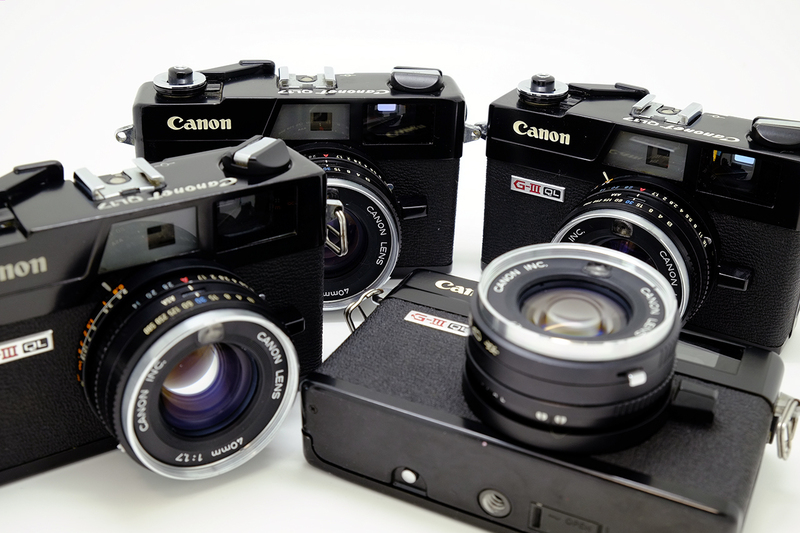 I hope you consider to produce medium format (120) in the future. Huge kudos for bringing back a lost emulsion. We could use a mid-budget 400 135-36 exp cartridge film distributed via mail here in the UK. Something positioned between HP5/Tri-X and Kentmere/Fomapan perhaps? FWIW I tend to shoot Kentmere. Ten-bricks are available and well priced and I can shoot it at box speed or above. Great website. There is a lot of energy and shared knowledge here and I love it! Pre-ordered. Thanks for keeping film alive and even trying to do your part to re-animate it. This is great, Bellamy. The film looks wonderful, & payday could not come any sooner. I am not sure how or why people feel the need to complain, but it makes me happy to know there are WAY more people who are excited about this than not. Good luck with this venture, I have nothing but high hopes & support to give. The whole family of Agfa aerial surveillance films are excellent – great for general use. They are some of the best b&w films of any type made in the history of the human race, in my opinion. I use them exclusively these days. Great tonality, great sharpness, fine grain, able to withstand bad exposure, able to be pushed and pulled, easier to load into film processing tanks in the dark (something to do with the polyester base), quite high contrast … it’s all good. 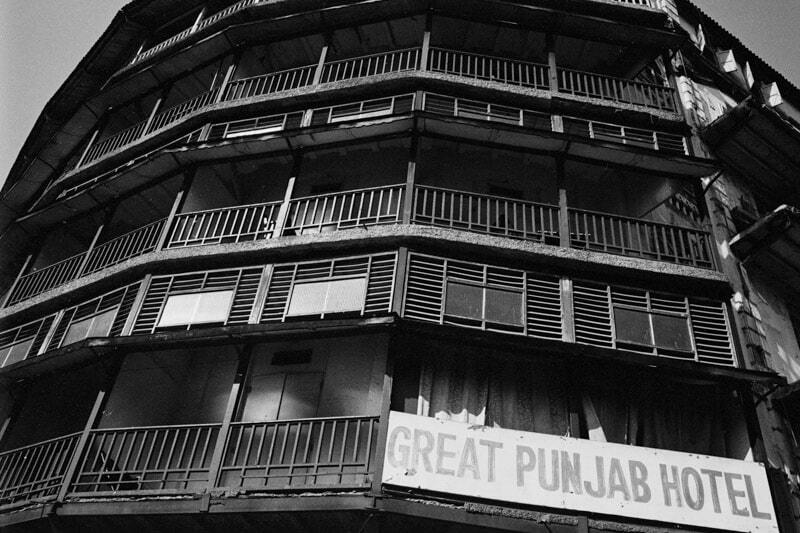 Also I find they produce the best scans of any b&w film: they come out looking right straight off the scanner. Because Kodak and Fuji do more advertising a lot of people don’t realise that Agfa products are often the best of all. This film is going to be a winner, I recommend it to anyone thinking of buying it! Man, I’m sorry I touched off the typo storm! I figured it was probably just in the mock, but having sent stuff like that to production without realizing it in the past, I hoped to just give you a friendly heads-up to double-check. Additionally, thanks for clarifying (below) regarding the provenance of the emulsion and the stock itself. I figured it had to be something like that based on what you said. Pay no attention to the people saying stuff about your “credibility” — you’ve been one of the most credible sources of film photographic information I’ve known, and among the first. I’m also tempted to point out that, in all likelihood, some of those questioning the film’s origins are simply extremely passionate about film and want to believe that it really is the rebirth of a shelved emulsion, but when that wasn’t quite clear they felt like it might’ve been a bait-and-switch and got upset, even defensive. I think, if that’s the case, I can praise the dedication, if not the way in which it manifested. Thanks again for undertaking this Herculean effort, man. Cheers! Thanks, Bellamy! And Kudos to you!! Keep up the amazing work. I am very excited to receive my 10 pack and to keep film alive. Thank you for going to all this effort to produce this film. I ordered a brick and I can’t wait to shoot it. The price is reasonable and I was very happy to buy it. I hope this is just the beginning of many more such projects for you. 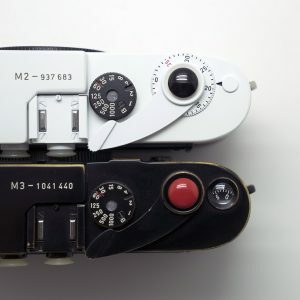 How about Agfa Scala next? Total respect for doing this. What an awesome idea and I really hope you pull it off. Don’t let the arseholes get you down, I would love to know how much stuff they sell at a loss! Looking forward to getting this…any update on deliveries please? This is good news. Is it anything like Neopan 400? I loved that film. Please don’t take the negativity to heart, Bellamy. There will always be people ready to criticise, without doing anything constructive themselves. As you said yourself, they don’t have to buy it. This is terrific news for film photographers, and I thank you very much for your efforts. Be of good cheer. This is crazy cool. I saw your Instagram about it and rushed to the site to check it out. It’s a shame you hate Kickstarter, this seems like it would be such a perfect project for it. And I can say that it provides a lot more than just “added fees”. It’s helped me connect to brand new fans who discovered me purely through the platform, it’s made it easier for folks to send money (rather than just posting a paypal link), and it’s certainly enabled me to do more ambitious projects that I would have ever imagined 5 years ago. As far as ambition, it sounds like you’ve got that in spades and I’m really excited you decided to tackle this project. The results look awesome. At this age, should I just forget it, or lengthen/shorten processing… Can I use it at stock strength? Thanks for the support. Actually, not sure about that. You might have to lengthen the processing, but I cannot really say. Better off with the R09. 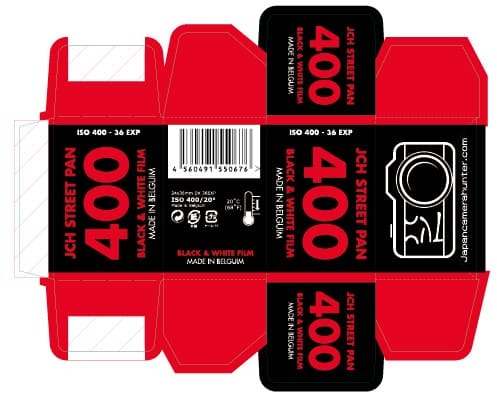 Just got my 10 rolls of JCP Street Pan today. Any tips or advice on how to expose this film? expose for the highlights or shadows? Hey there! Would you consider Ilford hc the same development time and Kodak hc? First of all, I come in peace. A question/suggestion: would it be feasible to offer the option to purchase 100′ rolls? 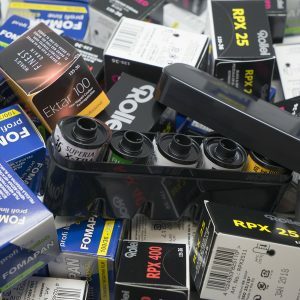 Perhaps that would lower the shipping costs, the cost of putting the film into cartridges (very minimal, of course, perhaps more expensive), and enable you to sell more film while maintaining a healthy profit margin. I imagine folks who use this film already know how to load bulk film; if not, it’s easily learned. You are both thoughtful and brave. Thanks for taking on such a helpful and courageous project. Great work to execute on this project Bellamy. I suspect that anyone commenting negatively, has either never run a business nor managed a P&L. Too many of us have grown accustomed to the never ending price cuts of commoditized products. At this point, film is a luxury, not staple good and the more entrepreneurs in the market, the better. 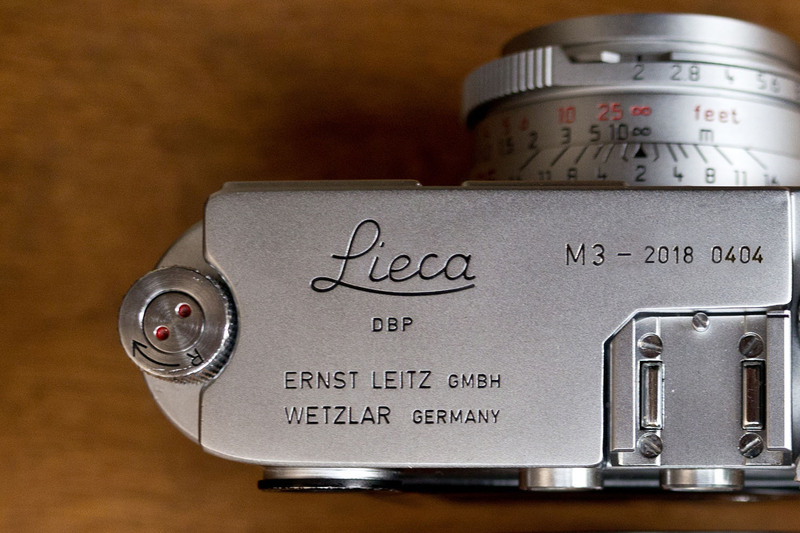 Personally, I’m praying that the market finds a sustainable steady state on film production so that my son, and his son can enjoy my Leica’s once they pry them from my cold hands. It’s always good to have another option. 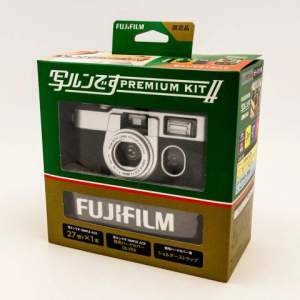 This is a freezed Film Agfa Aviphot, wich is new cutted, perforated and packed in to 135 Format (35mm). It’s of course not “freshly poured”. This is not Aviphot. Of that I am 100% certain. Thank you for the comment, but your information is incorrect. Congratulations for this incredible project!! I am really exited to hear that a second live is given to old film from Agfa. I will order 10 rolls of film and give it a try. Many thanks for the inititiative!! Again on the package: I have noticed a strange DIN info in the mockup, seems 20 instead of 27°DIN, the correct indication should be ISO 400/27° . But in this case I suggest only a “400” without any other indication, as for example do Kodak with the TRIX 400, or you can use the ILFORD way that is write EI 400/27 omitting the “ISO” info ( http://www.ilfordphoto.com/webfiles/200613019405339.pdf ). Even the most recent Kodak Alaris technical document of TRIX 400 omits the “ISO” term in any parts, even if is full of diagrams curves illustrating the contrast and density changes ( http://imaging.kodakalaris.com/sites/prod/files/files/products/f4017_TriX.pdf ). My two cents… :-)! I was wondering if you can shred some light on the crazy black water during the pre rinse? anti halation layer? Looks different than other stocks, so just wondering. 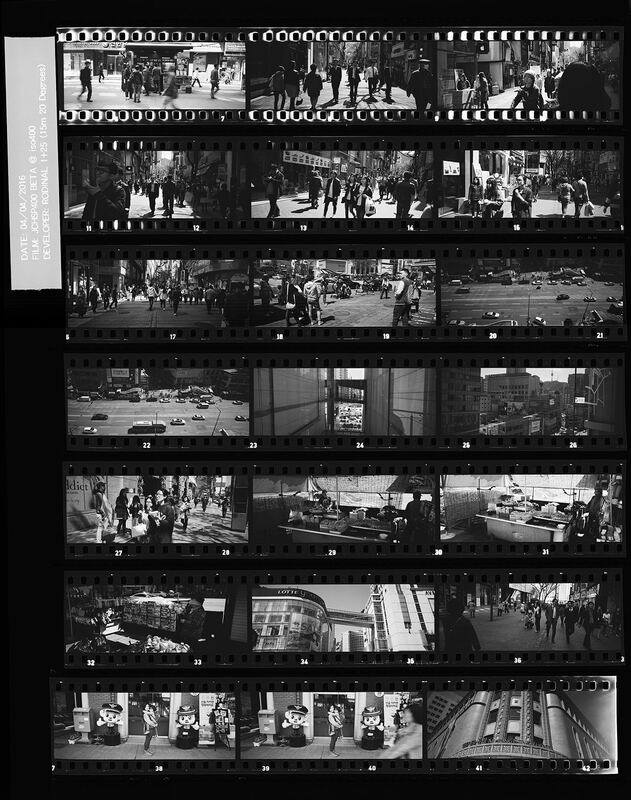 Also, in those contact sheets you posted, I also get some strange stuff going on with the sprocket holes (usually at the start of a roll). You think that’s from loading in light? I’ll be picking some of this up from Parallax next time I’m down there. So: more power to you Bellamy! I just shot my first roll of this stuff today at 800 ISO. Has anyone had any experience pushing this film? I prefer “Belguim” to “Belgium,” and imagine the potential eBay value of the typobox version years down the road. Anyway–I just received mine and will start shooting it tomorrow. Way to go on this, Bellamy. Your site is great, the enthusiasm is contagious, and it’s going to be so fun to see the results. Good job, thanks, you’ve done a fine and impressive thing. You are a hero! Thanks for taking such huge personal risk to keep film alive and our options wide. Don’t listen to the internet trolls! We love you! As soon as I finish up my batch of Bergger Pancro 400 and my wife calms down about how much I spend on film, I’ll be sure to pick up some of yours and keep this new option alive.